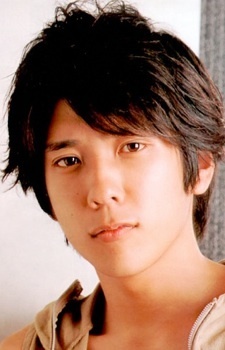 Kazunari Ninomiya, nicknamed Nino, is an actor, singer, songwriter, and show host. He is currently in Johnny's Entertainment agency and is part of the Japanese boy band Arashi. He has also acted for television and cinema. He made his Hollywood debut by playing Saigo in Clint Eastwood's film Letters from Iwo Jima. haha, he's the reason i discovered Arashi. one of my favourite actors! "PLEASE tell me you're not gay!!!! Do you have a girlfriend? cause I think your SO HOT!! <33"
I'm a big fan of his acting, so I was really happy to hear that he was going to voice act in Tekkon Kinkreet. And then when I heard Black's voice ... heaven. It fit so well. Yay Nino! I hope he does some more roles in the future! Too bad he's in some stupid boysband.